The ultimate no-math reference for quilters!! 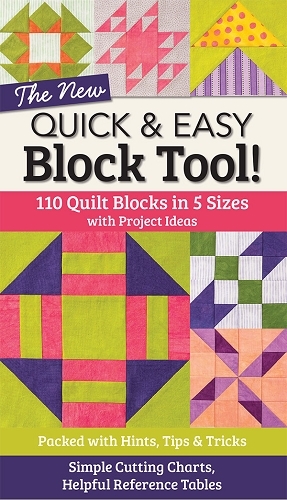 There are 110 quilt blocks in 5 sizes each. Project Ideas. Packed with hints, Tips & Tricks along with Simple Cutting Charts with Helpful Reference Tables - A must have book for quilter's! !